Recently, it seems as if the footwear industry has been stuck in a cycle of follow-the-leader, copying the design and styling cues of the top brands (mostly Nike). In part, this is due to the conservative nature of corporations who oversee many of today’s brands. Scales of economy, efficiency, and mass market opportunity have become the primary focus for many brands. As a consequence, unique design and unconventional creativity have become less emphasized in many corporations. Sure, it’s nerve-racking to try to stand out from all the rest – but isn’t that what makes a brand great? Part of what I do as a Creative Director is to provide that creative spark and unique point of view for my clients. 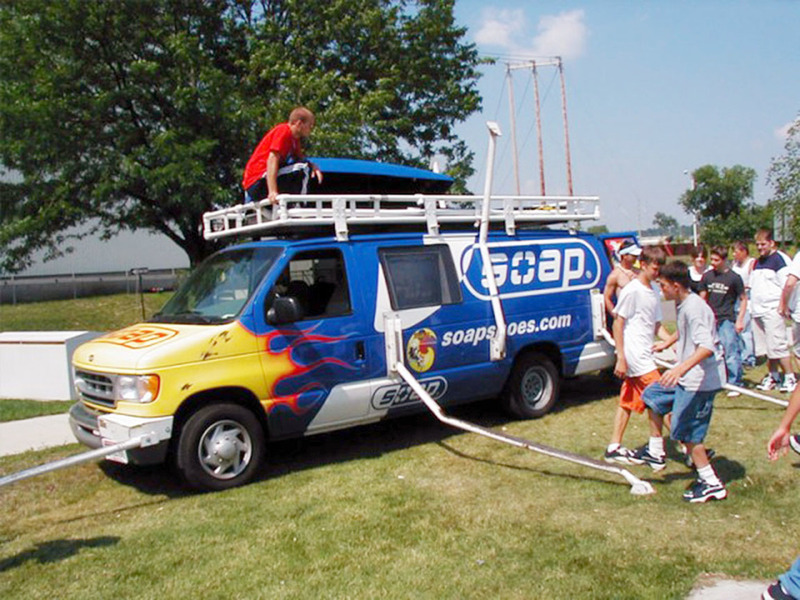 Soap tour van featuring fold out rails for grinding on. 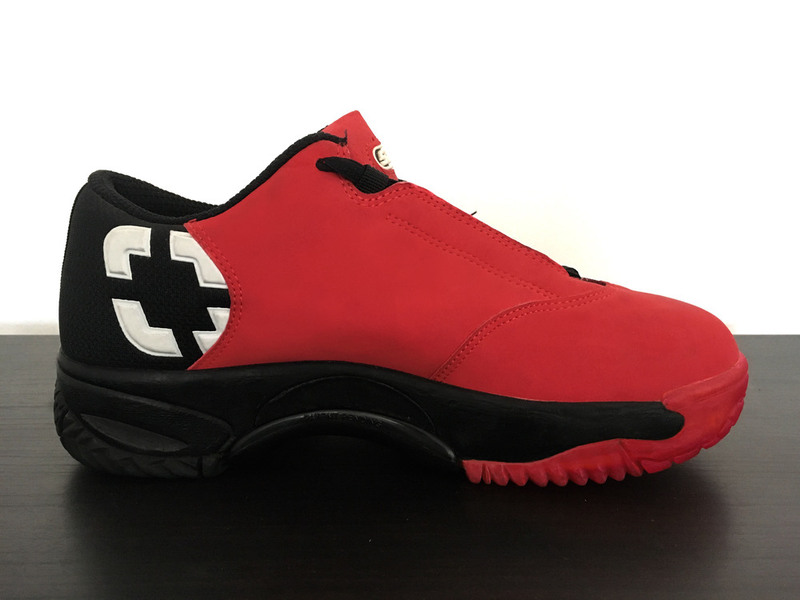 Soap Shoes was founded in 1996 with the ambition of bringing the grinding sensation from extreme inline skaters to footwear. It had a plastic plate under the arch of the foot to allow one to slide easily on a curb or hand rail. It was a fun and eccentric idea that allowed our imagination to go wild. We had no one else to compare ourselves to, allowing us enormous creative freedom. I feel that with this mindset, true creativity can be captured. I realize that such a situation is rare, but through this opportunity, I learned how important it is to let go of comparisons and judgment in order to approach a design sprint with a clear and clean perspective. Another key tenet to creativity is allowing one’s self to have the freedom to explore and play. It’s essential to let the mind be free of restriction because inspiration can come from seemingly unrelated places. It is often said that nothing is truly original, just a conglomeration and reconfiguration of ideas and concepts borrowed from others. I feel that great designers have a special ability to combine inspiration from from many disciplines in order to create a unique point of view. When needing inspiration for a product idea we typically utilize these three steps before creating a final production-ready version. Start by picking high level concepts that relate in some way to your customer demographic and create a small mood board that visually communicates the topic. Such topics could include cars, music, or emotion. For this example we chose music. Next, dive into the specific category that you choose by exploring the different characteristics and attributes associated with it. Go deep and get creative. This is where you can develop a unique angle. List them up on a whiteboard or a large sheet of paper and pick a few to develop a mood board. In our example, we first suggested different genres of music and looked at the production attributes for each genre and the objects related to that genre. Eventually we settled on rap music, which was prevalent in the late 90’s, and dove into the process involved with making this type of music. Everything from audio waves, turntables, analog faders from a soundboard, patch cables, and speakers were used to draw inspiration for the idea. After developing a mood board for a specific attribute category, hone in on a particular styling attribute. This is often inspired by the images collected in previous steps. I suggest being highly specific and even over exaggerated with the design language. These are inspiration designs and you can worry about subtlety later on as the design gets refined. For our example we chose to focus on the turntable. You can see the progress of the design as it goes from a rough sketch all the way through to a highly detailed version. You will note that the initial designs were small. I always believe it in starting small first as it helps to develop the overall shape of the shoe. This also allows for many version to be created quickly and easily. We utilize this design process frequently at Concept 21, particularly when developing new styles or lines of footwear. Infact, this process was used to help design a Soap Shoe that is in San Francisco Museum of Modern Art’s (MOMA) permanent collection. Perhaps the biggest take away is that by utilizing this three step approach there is an infinite well of inspiration to draw from. There are so many opportunities to create great and unique design if you just put your mind to it. We are the sculptors of the material world, let’s make it beautiful! If you enjoyed this article please share and subscribe to our newsletter.